Whether you have only recently heard about Penn Dental Medicine clinic or you have been considered Penn Dental Medicine’s clinic as an option for dental care in the past, we are pleased that you are interested in learning more about our clinic. We know that pursuing an unfamiliar option for dental care may cause concern and anxiety, which is why we are happy to inform you of everything you can expect from receiving care at Penn Dental Medicine clinic. Who can be a patient at Penn Dental Medicine clinic? The answer to is simple! Anyone can be a patient at the Penn Dental Medicine clinic. 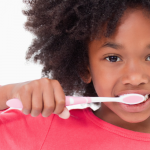 Whether you’re seeking a trusted provider for your child’s first dental check up, in need of a routine visit or even more complicated procedures, Penn Dental Medicine clinic has the capabilities to treat all ages and needs. Our students are equipped to handle such matters as oral surgery, root canals, and the treatment of periodontitis. From the simple to the complex, our predoctoral and postdoctoral students are trained to handle all of your dental needs and are closely monitored by highly qualified dental professionals. 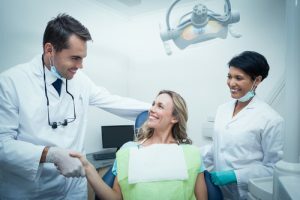 When you receive care at Penn Dental Medicine clinic, you can rest assured that you are receiving treatment from our top dental professionals. How can I become a patient of Penn Dental Medicine clinic? 2. After assessment and evaluation, we will assign you to a pre-doctoral or postdoctoral student dentist that will handle your dental care depending on your treatment needs. 3. Before you leave your initial examination, we will schedule your second appointment. A comprehensive diagnosis of your dental needs. A personalized treatment plan developed around your particular needs and desires. 5. If this treatment plan is in accordance with our educational needs, you will be accepted to participate in our program, and treatment will begin on your next appointment. At times, we receive treatment requests from individuals that already have a general dentist but are seeking specialty dental care in an area such as endodontics or orthodontics. If this is the case, we must first receive a referral from your outside dentist for the specialty care, and after this specific treatment is completed, you will return to your general dentist for the remainder of your dental needs. We are only able to provide treatment for the services for which you have been referred. Treatment through Penn Dental Medicine clinic is easy, affordable, and rewarding. Our patient profile spans all ages, from baby to elderly. There are no special requirements that you must meet, and if you have no general dentist, have a referral from your own outside dentist, and/or your dental needs fit within our educational program, we will be pleased to partner with you for your continued oral health. Call us today at 215-898-8965 to schedule your initial examination.